Hi La-ren, welcome to Aside from Writing, thanks for joining us today. You are the second ‘outer space’ alien character we’ve interviewed for the blog – so can you start by introducing yourself to our readers? My name is La-ren. The hyphen represents a sound that humans usually compare to a hiccup. Any approximation will do. I am not easily offended. How did you come to know any humans? My species, the Tofa, is acquainted with humans because a small group of them came to my planet, Tofarn, approximately 85 Terran years ago and established a colony. I personally became acquainted with one human, my twin sister Judy, from the moment I can be said to have existed at all. Our host mother Laura carried us both. (Actually, Judy is Laura’s biological daughter as well, but I do not believe it has made much difference.) Judy and I lived with Laura, in a cottage on the grounds of the L.E.V.I. Project, until our early teens, when we moved into the main compound to share a room near other Twin-Bred pairs. We are very fond of our host mother, but it is more entertaining and less constricting to live near our peers — even with the constant oversight of Project staff. What is the L.E.V.I. Project? The initials stand for Long-term Emissary Viviparous Initiative. The acronym has a significance that I am not at liberty to explain. The goal of the Project is to enable the human and Tofa communities to understand each other better. Before the Project was initiated, and even while it has been underway, our mutual inability to comprehend each other’s attitudes, motivations and behavior has led to many confrontations, any of which could have escalated into a major conflict. My experience of humans is somewhat limited so far. I cannot expect those humans who chose to join the Project to be typical. If I did make that assumption, I would believe humans to be dedicated, curious, hard-working, friendly, and relatively hard to startle. But if that were the general human profile, I doubt the Project — and Judy and I — would exist at all. I am meant to serve multiple functions. From birth onward, I and the other Tofa Twin-Bred have been accessible for human observation and study. The difficulty is that we present a perhaps extreme example of the observer altering the phenomenon observed. We were altered in small ways at an embryonic stage in order that human women could carry us. We shared a womb with a human fetus, with results difficult to isolate. And we have been raised around more humans than Tofa. I wish I could tell you — I wish I could know — how much we differ from what you might call “normal” Tofa. I hope to have the opportunity, before too long, to answer that question. We — all of us Twin-Bred, Tofa and human — have been trained to act as mediators between the human and Tofa communities. That is the second essential function we are meant to perform. There appear to be political obstacles. My friends and I are becoming impatient. 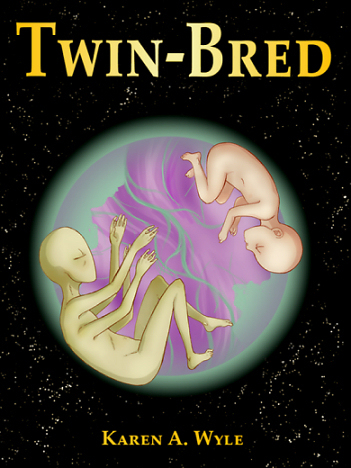 La-ren appears in Twin-Bred by Karen A. Wyle – a sci-fi novel which reviewers have recommended for all ages. 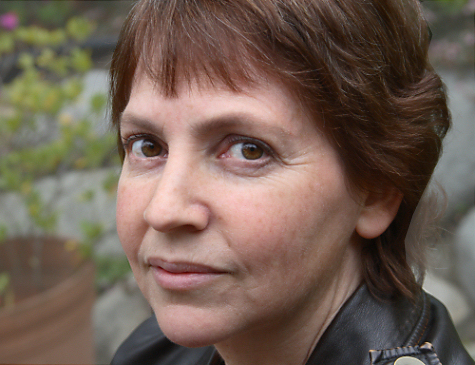 About the Author: Karen A. Wyle was born a Connecticut Yankee, but eventually settled in Bloomington,Indiana, home of Indiana University. She now considers herself a Hoosier. Wyle’s childhood ambition was to be the youngest ever published novelist. While writing her first novel at age 10, she was mortified to learn that some British upstart had beaten her to the goal at age 9. Wyle is an lawyer, photographer, political junkie, and mother of two daughters. Her voice is the product of many years of reading both literary and genre fiction. Her personal history has led her to focus on themes of family, communication, the impossibility of controlling events, and the persistence of unfinished business. This entry was posted in Character Interviews, Interviews and tagged character interview, Karen A Wyle, La-ren, twin bred. Bookmark the permalink.